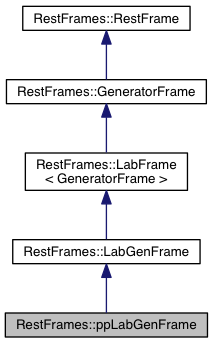 Definition at line 40 of file ppLabGenFrame.hh. Clears GeneratorFrame of all connections to other objects. Get the frame of the i th child. Get the mass of this frame. Returns empty instance of class.